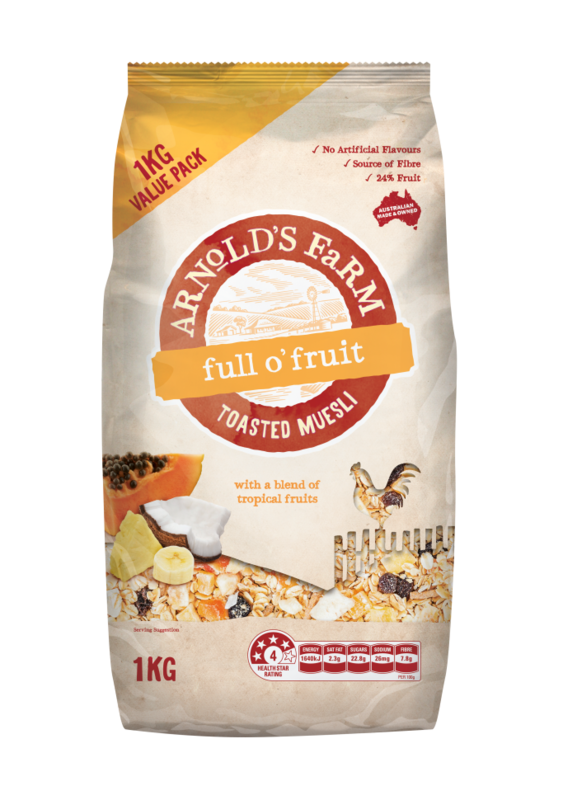 Our Full O Fruit Toasted Muesli contains the goodness of Australian oats, combined with a mixture of tropical fruits. Arnold’s Farm is an iconic Australian brand that has served up breakfast to Aussie homes for over 30 years. We pride ourselves in delivering everyday whole food, and create unique ingredient combinations that offer a delicious taste experience to start your day. 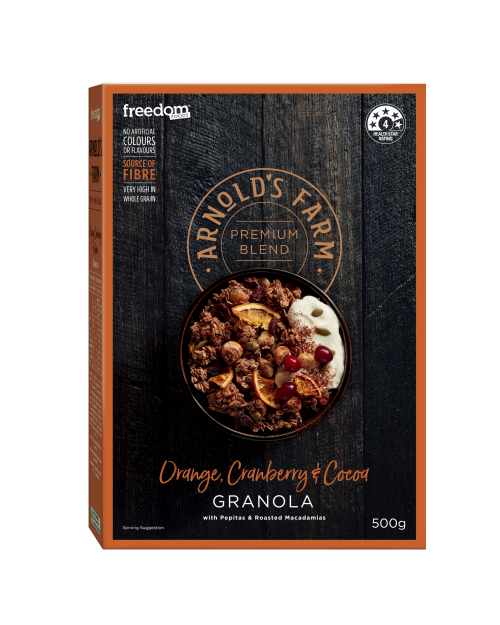 Australian Whole Grain Rolled Oats (59%), Fruit (24%) (Sultanas (Sultanas, Vegetable Oil), Paw Paw (Paw Paw, Cane Sugar, Preservative ), Pineapple (Pineapple, Cane Sugar, Acidity Regulator [Citric Acid], Preservative ), Raisins, Coconut (Preservative ), Banana), Glucose, Raw Sugar, Oat Bran Sticks, Canola Oil, Sesame Seeds, Natural Flavour, Antioxidant (Vitamin E). Contains: Gluten-containing cereals, Sesame Seeds and Sulphites. May contain: Lupin, Milk, Peanuts, Soy and Tree Nuts. 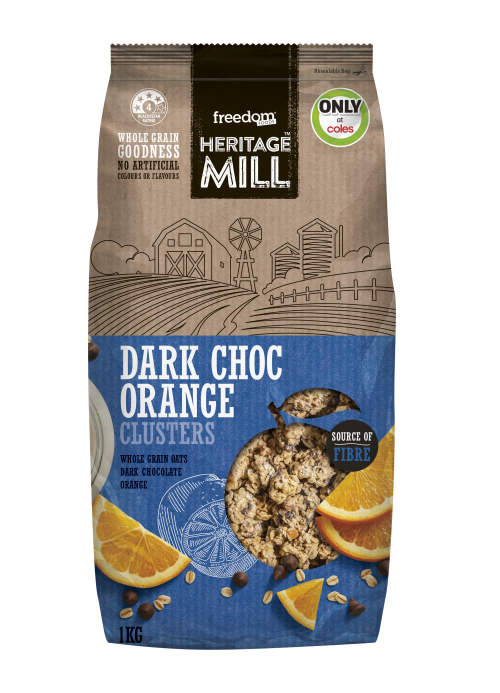 Made from oat whole grain goodness, Heritage Mill Clusters are crunchy, delicious and satisfying. A taste of our indulgence-inspired Dark Choc Orange Clusters will leave you wanting more!